AUSTRALIA'S drought has gotten so bad for farmers that they're talking about bringing in defence forces. This week the Defence Minister Marise Payne offered the assistance of the Australian Defence Force as the drought crisis worsens in Queensland and NSW, suggesting the ADF could help drought-stricken farmers by transporting fodder by truck or airdropping it into remote places. 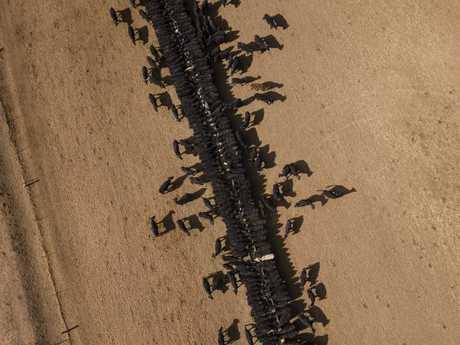 Photographers David Gray and Brock Mitchell have been travelling through some of the worst affected parts of NSW documenting the breadth of the struggles, and producing some stunning aerial shots that show another side to the drought stricken landscape. 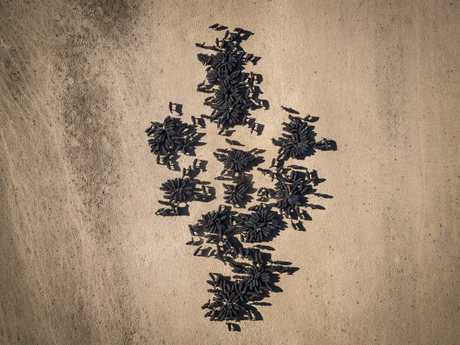 Their drone photography depicts the tragic situation on the ground from an almost artistic vantage point. In the image below, farmer Ash Whitney stands in the middle of a dried-up dam on his property outside of the New South Wales town of Gunnedah. "I have been here all my life, and this drought is feeling like it will be around a while," Mr Whitney told Reuters. In another haunting image, a cow walks away from a water tank in a dusty paddock on farmer Tom Wollaston's property located west of the NSW town of Tamworth. "I can't seem to be able to do anything else apart from just feed and keep things going, and it (the drought) seems to be one step ahead of me all the time," Mr Wollaston said. "We'll battle it out, but it puts a strain on everyone." As state and federal governments, community groups and even the banks move to help farmers, for some it's already getting too late. Andrew Curo from Mudgee, NSW, shared a Facebook post this week that went viral, describing how he has been helping a mate fish hundreds of dead sheep and kangaroos out of drying dams, using an excavator to remove the stuck, rotting carcasses. "Australia should be ashamed. We worry about 2 per cent of sheep dying on boats going overseas because you've seen a video of it, but what about the 90 per cent dying in the paddock?" he wrote. And there appears to be no end in sight, according to the Australian Bureau of Meteorology. With the real prospect of a dry El-Nino weather pattern hitting NSW in Spring, the longer term outlook for much needed rain is dire. 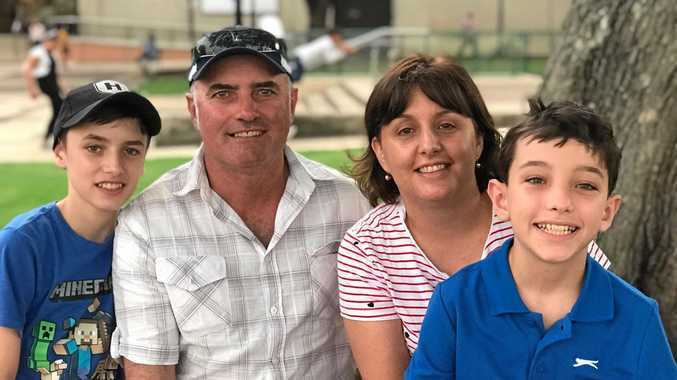 Farmers Ambrose and Lisa Doolan own a farm in the NSW town of Coonabarabran. Both their children, Brett and Emily have returned home to work on the farm during the drought. The name of the property translates to "rows of standing stones", which is presently an apt description of the bare dirt and stones that stretch as far as the can see. 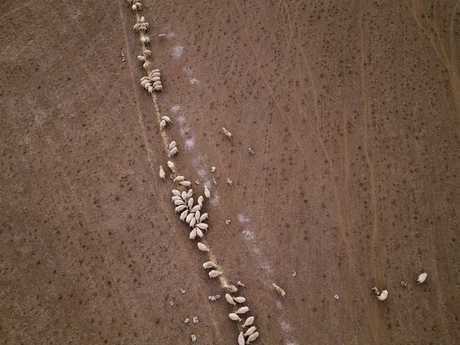 Below is an aerial view of the cattle feeding operation on the property as hungry cows get their fill. In Warrumbungle Shire, where sharp peaks fall away to once fertile farmland, the small town of Coonabarabran is running out of water. The town dam is down to just 23 per cent capacity, forcing residents to live with level six water restrictions.